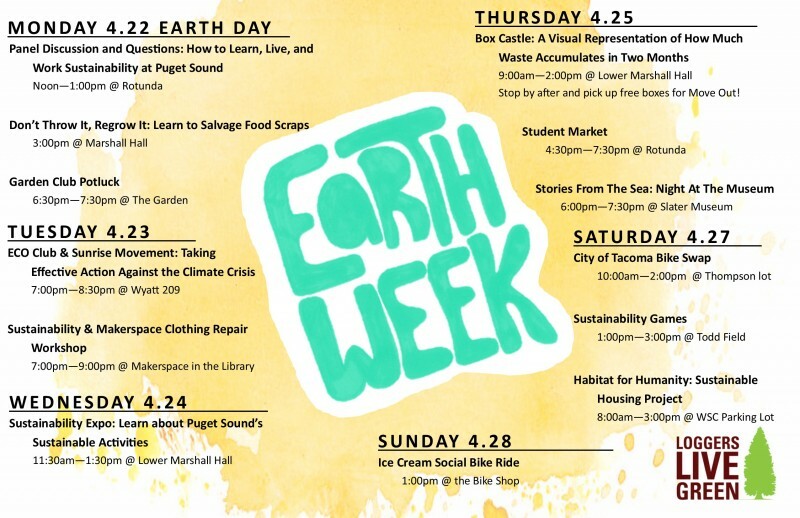 Come celebrate Earth Week 2019 with us! Earth Day is on Monday, April 22, and we will have sustainability events all week long. Please see the schedule of events posted below.